The Jean Monnet Erasmus+ Network grant The Comparative Network on Refugee Externalisation Policies (CONREP) is an international, interdisciplinary network of experts from six universities in Australia and Europe. CONREP researches the impact and effects of the externalisation of refugee policies in two regions: Australia's activities in Southeast Asia and the Pacific; and the European Union and its member states' activities in North Africa. These policies exploit power asymmetries to transfer state and regional obligations and responsibility for asylums seekers and refugees to neighbouring states. At their most destructive, externalisation policies can prevent refugees from reaching safety, and breach their human rights. Externalisation policies reshape the boundaries of sovereignty and blur the lines of responsibility among states. By avoiding their legal and political responsibility, many states violate their legal obligations. Externalisation deflects responsibility, transforming the governance of refugee protection and border control. Regional cooperation for refugee protection is weakened, and human rights protections are undermined. At a global level, migration pathways are disrupted and refugees are often trapped in transit, placing them at risk. Nationally, some governments gain electoral advantage by being 'tough' on border protection. The accelerating phenomenon of externalisation characterising these 'tough' border protection policies requires a comprehensive analysis by researchers, civil society actors, refugees and policy makers. The project is co-funded by the European Union under the Eramus+ Programme - Jean Monnet Activities (599660 EPP-1-2018-1-AU-EPPJMO-NETWORK). 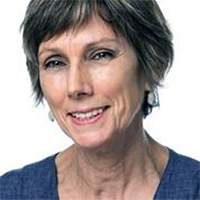 Philomena Murray is Professor in the School of Social and Political Sciences at the University of Melbourne. She holds Australia's only Personal Jean Monnet Chair awarded by the European Union. She has directed several international research projects on EU-Asia relations; comparative regionalism and EU-Australia as the recipient of EU grants. 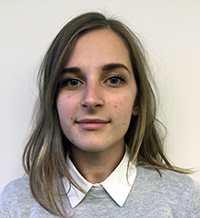 She currently co-directs an EU-funded research project on EU-Australia relations with Dr Margherita Matera. 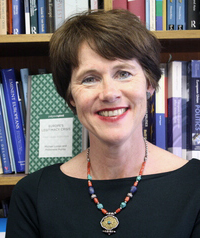 She founded the Contemporary European Studies Association of Australia. She received a national Carrick \ (Australian Learning and Teaching Council) Citation for Outstanding Contribution to Student Learning for pioneering the first EU curriculum in Australia and leadership in national and international curriculum development. She is an assessor for the Australian Research Council and European research bodies. A former diplomat, she has run training courses on the EU for the Department of Foreign Affairs and Trade in Canberra. She is a Visiting Research Fellow at Trinity College Dublin. She is Visiting Professor at the College of Europe, Bruges. She is Associate Research Fellow at United Nations University - Comparative Regional Integration Studies, Bruges. She is co-founder and Coordinator of Academics for Refugees since 2014. Her research interests are in refugee policy in the EU and Australia; comparative regional integration; EU-Asia relations; EU-Australia relations and EU governance and legitimacy. 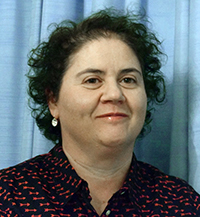 Margherita Matera is a researcher and Honorary Fellow in the School of Social and Political Sciences at the University of Melbourne. Her research and publications focus on the European Union’s security and defence cooperation, the EU as a foreign policy, security and crisis management actor, the externalisation and securisation of EU refugee policy, NATO and the transatlantic relationship, EU-Australia relations, and comparative regionalism. 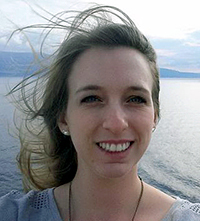 In 2015, she was the recipient of the Summer Research Scholar Program Grant from the European Union Center of Excellence and European Studies Center at the University of Pittsburgh. She teaches on EU integration, comparative European politics and international relations. 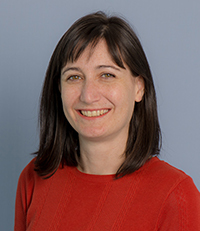 She is a co-editor of a special issue of the Australian Journal of International Affairs on EU-Australia Relations, published in 2018 with Professor Philomena Murray. 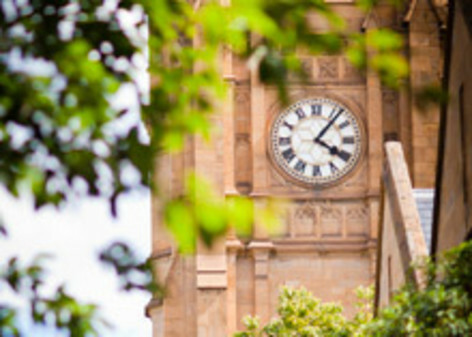 In 2017 she was awarded, along with Professor Murray, a two-year Jean Monnet Project to further explore EU-Australia relations. Amy Nethery is Senior Lecturer in Politics and Policy at Deakin University. She researches the development and impact of asylum policies in Australia and Asia, with a focus on transnational cooperation on border control. An important theme of her work is the analysis of asylum policy according to democratic norms of policymaking. She has a particular interest in immigration detention: its history, evolution, diffusion, legal status, consistency with democratic norms, and human impact. Her article 'Australia-Indonesia Cooperation on Asylum Policy' (Australian Journal of International Affairs, 2014) was awarded the 2014 Boyer Prize for the best article published in that journal that year, and was assessed most likely to have lasting impact on policymaking. 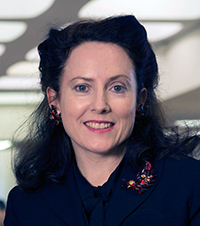 Maria O'Sullivan is a Senior Lecturer in the Faculty of Law, Monash University and a Deputy Director of the Castan Centre for Human Rights Law. Her teaching and research interests are administrative law, public law and international refugee law. Maria has completed a PhD thesis on cessation of refugee status under Article 1C(5) of the 1951 Refugee Convention and is the author of a number of international and national publications on the subjects of refugee law. She was granted the Faculty of Law Dean’s Award for Excellence in Research by an Early Career Researcher, in recognition of outstanding academic achievement in 2016, and was a Nominee for the Monash University Vice Chancellor’s Award for Excellence in Research by an Early Career Researcher. Her latest publication is an edited volume on access to refugee protection and procedures: States, the Law and Access to Refugee Protection - Fortresses and Fairness (Hart, 2017), co-authored with Dallal Stevens, University of Warwick. 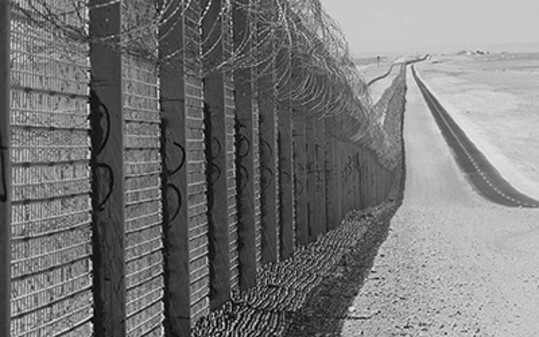 This brings together contributions from international leading scholars and examines two of the most pertinent current challenges faced by asylum seekers in gaining access to international refugee protection: the obstacles to physical access to territory and barriers to accessing a quality asylum procedure. It includes papers on border issues in Turkey; the interdiction and screening of asylum seekers at sea, obstacles to entry for Central America refugees in the United States, the asylum system in South Africa and access to justice for Syrian refugees in Lebanon. She is currently writing a monograph on the durability of refugee protection, to be published by Routledge in late 2018. Maria is a regular media commentator on refugee law and policy and has been published by The Conversation, Refugees Deeply and Asylum Insight. Azadeh Dastyari is a Senior Lecturer in the Faculty of Law at Monash University and a Deputy Director of the Castan Centre for Human Rights Law. She has been a visiting scholar at Harvard Law School, the European University Institute, Georgetown University and the University of Bologna. 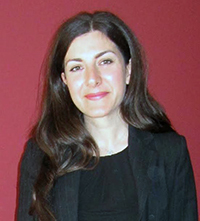 Azadeh has expertise in international human rights and refugee law with a particular interest in the externalisation of border control measures by Australia, the US and the EU. She has a PhD in international refugee law and has written widely on externalisation of border control policies. Her latest book, United States Migrant Interdiction and the Detention of Refugees in Guantánamo Bay (Cambridge University Press, 2015), examines the operation and legal implications of the United States Migrant Interdiction Program on the high seas and in Guantánamo Bay, Cuba. Azadeh serves on the advisory council for Refugees Deeply. She has provided training resources for UNHCR staff in the Middle East and North Africa Region on protection at sea and is a member of the SAR Observatory for the Mediterranean (SAROMBED) which aims to monitor and report on protection of irregular migrants and refugees in the Mediterranean. Azadeh has been invited to speak on Australia's border protection regime in the European Parliament and has provided advice to various political groups within the parliament in Brussels. She has also appeared before Australian parliamentary committees to provide expert evidence on Australia's refugee policies in a number of inquiries. In addition, Azadeh has provided a number of guest lectures and public talks in Italy on Australia's border protection regime and has taught international refugee law and human rights in both Italy and Australia. 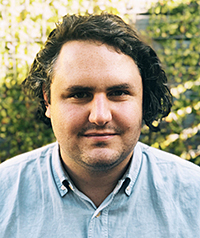 Asher Hirsch is a Senior Policy Officer with the Refugee Council of Australia, the national umbrella body for refugees and the organisations and individuals who support them. His work involves research policy development and advocacy on national issues impacting refugee communities and people seeking asylum. Asher is also completing a PhD at Monash University in refugee and human rights law. His research investigates Australia's migration control activities in Southeast Asia, which aim to prevent asylum seekers from reaching Australian territory and seeking protection. He holds a Bachelor of Arts, a Master of Human Rights Law, a Juris Doctor and a Graduate Diploma in Legal Practice. Pierluigi Musarò is Associate Professor of Sociology at the Department of Sociology and Business Law, University of Bologna, Italy, where he leads teaching modules such as 'Humanitarian Communication’ and ‘Media and Security’. He is Visiting Fellow at the London School of Economics and Political Science and Research Fellow, and at the Institute for Public Knowledge at the New York University. He is also Faculty \ Expert/Mentor for the WISE Learners' Voice Program, Qatar Foundation. He is the author of several papers in the field of migration and border, media communication, cultural sociology and sustainable tourism. He is President of the Italian NGO YODA and founding Director of IT.A.CÀ migrants and travellers: Festival of Responsible Tourism. 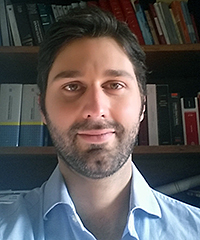 Marco Borracetti holds a PhD in EU Law from the University of Bologna; he is Researcher and Senior Lecturer of European Union Law of the Alma Mater Studiorum - Università di Bologna, School of Political Science, where he teaches EU Institutional Law and EU Immigration Law. He was recently appointed as co-director of the European Regional MA Programme in Democracy and Human Rights in South East Europe where he teaches Migration and Human Rights. 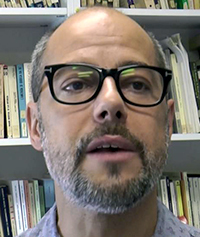 Marco was Visiting Scholar at University of Illinois at Urbana-Champaign, European Union Center (2015), and Visiting Professor at Université Libre de Bruxelles - Institut d'Etudes Européennes (2011). 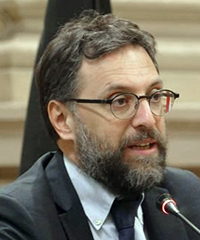 Federico Ferri is Adjunct Professor of EU Law and Tutor of International Law at the University of Bologna and works within the Schools of Law and Political Science. He holds a PhD in European Law from the Universities of Bologna and Strasbourg (2015) and a Specializing Masters in Human Rights and Humanitarian Intervention (2011). Federico is also a civil attorney in the municipality of Bologna and collaborates with companies, institutions and reviews in Italy and abroad. In particular, he monitors the evolution of the EU secondary law and jurisprudence on migration on behalf of the journals Immigrazione.it and Diritto, immigrazione e cittadinanza. He conducts research in a variety of fields relating to sustainable development and innovation, environment, energy, alternative finance, an intellectual/industrial property. Federico has a special interest in the concept, nature and legal implications of sustainable development, migration, and the protection of fundamental human rights. Sandra Lavenex is Professor of European and International Politics at the University of Geneva and Visiting Professor at the College of Europe where she teaches European asylum and immigration policies in their internal and external dimensions. 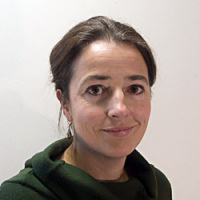 Sandra Lavenex obtained her PhD from the European University Institute in Florence in 1999 for a thesis on The Europeanization of Refugee Policies: between human rights and internal security (Ashgate 2001) and has pioneered the study of EU external migration policies with her book Safe Third Countries. Extending the EU asylum and immigration policies to Central and Eastern Europe (Central European University Press 1999). These topics have remained an important pillar of her research and have been expanded to the field of international cooperation on migration more broadly including the nexus with development and trade policies and the comparative analysis of regional cooperation on refugee protection, mobility and migration. Gregor Noll and has been recently appointed to a chair in international law at the School of Business, Economics and Law at Gothenburg University after holding the chair of international law at Lund University between 2005 and 2018. His research is mainly in the areas of migration law, the law of armed conflict, the theory of international law, and the effects of AI on law. 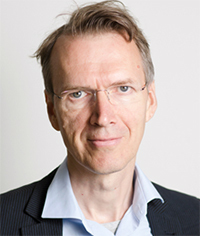 Noll held the prestigious Pufendorf Chair at Lund University from 2012 to 2016 and co-launched the Gothenburg/Lund/Uppsala Migration Law Research Network in 2011. With a group of junior and mid-career research fellows, he transformed Lund into a brand for interdisciplinary research in international law. He has regularly published on the asylum and migration laws and policies of the European Union, and is currently researching the interaction between demography, democracy and migration law. The Comparative Network on Refugee and Externalisation Policies (CONREP) offers five scholarships of up to €2000 provided to students from the Australian partner institutions (University of Melbourne, Deakin University and Monash University) to attend a masterclass and conference in Italy.